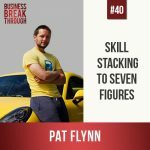 Pat Flynn takes on the generalist approach in an increasingly “niche” world and explains why skill stacking – combining many diverse skills into one unique whole – is a better and more realistic approach. 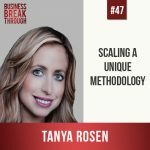 In this approach, it’s ok to get bored of just one interest and it’s also ok to not be the very best at any one thing. As Pat gears up to make his mark and take generalism to the next level, who should he focus his new approach on so that it can have the biggest influence and turn into a real movement? Tune in to find out and join in!